Personal injury cases are not only about who was at fault. They are also about damages (i.e. compensation). The amount of compensation you should receive is measured by the losses you sustained due to another’s wrongdoing. In South Carolina, damages are about far more than pain, co-pays, or suffering. Damages include past and future medical charges, lost wages, and diminished earning capacity. These are examples of monetary damages. In other words, because medical bills and lost income are directly related to your bank account, we call them monetary or economic damages. South Carolinians who have been injured due to another’s negligence or intentional wrongdoing, may also be allowed compensation for non-economic harms. Though pain and suffering is a commonly used term for these harms, I never use this phrase when speaking with insurance adjusters, defense attorneys, or clients. Pain and suffering is too narrow and too shallow of an explanation for what many clients experience after their accident. It’s a lazy term that juries have been taught to listen for, and if heard, to believe someone is milking the system. Physical pain is real. Many of my clients live with it, and will be forced to bear it the rest of their lives. However, physical pain alone rarely increases a case’s value without substantial medical evidence. For this reason, we seek to present doctors' testimonies and medical records that establish a percentage of permanent impairment before ever mentioning physical pain. Put simply, without the medical evidence, it’s the client’s word against decades of bias toward personal injury clients. Suffering means too many things to too many people to have real value in a legal case. In contrast, most jurors can relate to reliving a moment over and over in their heads. Jurors can also imagine what it must be like to have the ability to walk at 9:34 a.m. on a Saturday morning, and by 9:35, to never be able to walk again. Therefore, instead of using the word suffering, I focus on an accident victim’s lost enjoyment of life as well as their mental anguish. Does a former factory worker suffer every time her own child has to lift her into a wheelchair? Does a nineteen year-old suffer each time he looks in the mirror and sees the facial scars left by a drunk driver? Of course they do, but to most effectively represent such victims, we ask that damages be awarded for lost enjoyment of life, mental anguish, permanent impairment, and other damages in addition to physical pain. All of the damages I’ve discussed thus far are collectively referred to as actual damages. They are the actual losses that a client sustained. In cases where the defendant’s actions were reckless or intentional (exp. drunk driving, nursing home abuse, sexual exploitation), compensation for punitive damages may also be awarded. 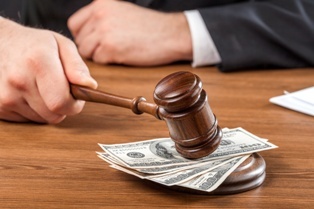 Despite what you hear in the media, punitive damages are rare. They are designed to punish bad behavior and prevent it in the future. Punitive damages also create greater protection for consumers. So How Much Is Your Case Worth? How much money is fair when it comes to your physical pain, lost mobility (exp. a back injury that prevents you from running long distances), mental anguish, and decreased quality of life? There is no exact formula, but I take the position that the money you receive for these items must balance out your losses. In other words, how much money would you give to have your old life back? How much compensation balances the scales when on the other side of those scales are your sleeplessness nights, fears over future health, inability to play with your children, or weeks spent on the couch unable to work or pursue any dream other than getting well? Auto accidents cause pain, and they often lead to tremendous suffering, but the best way to obtain a fair amount of money for those losses is to show how they have impacted your life. While insurance companies might refuse to fairly compensate you no matter what words you use or how significant your losses are, jurors will allow fair compensation when they see how your mobility, finances, family, relationships, and goals have been affected. To learn more, request free copies of my books or call us at (803) 790-2800 or use the live chat box below for a free case evaluation. While we may not believe in the term "pain and suffering," we do believe in protecting the rights of every person injured in South Carolina, and working to ensure they receive fair compensation.